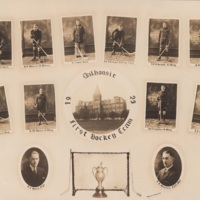 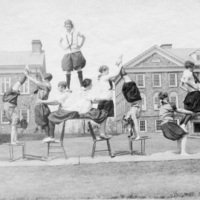 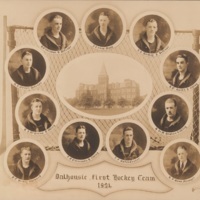 The Dalhousie Athletic Club was formed in 1884. 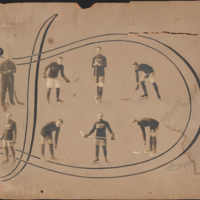 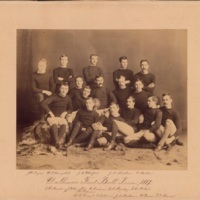 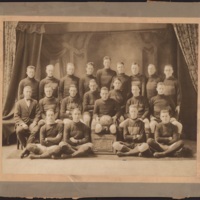 The Dalhousie rugby team's first game was played against Acadia on 15 November 1884. 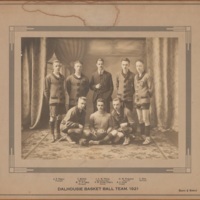 Even though Dalhousie didn't get a proper gym until the 1920s, Dalhousians played rugby, hockey, basketall, football, and other sports. 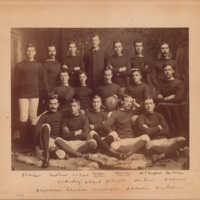 In 1887, the rugby team officially adopted black and gold as their official colours. 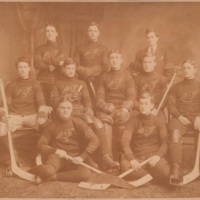 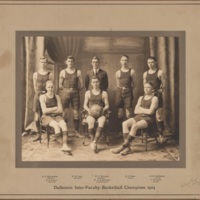 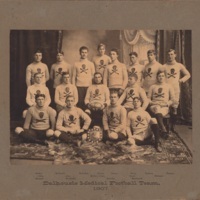 Dalhousie's teams became known as the Tigers because of their black and gold stripes. 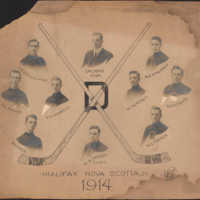 Today, Dalhousie students can participate in virtually any sport, from varisty hockey to the ultimate frisbee club. 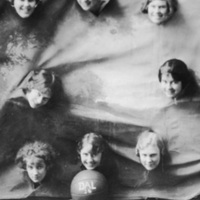 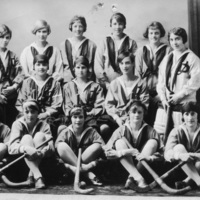 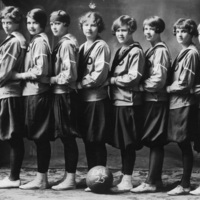 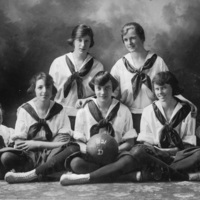 As well, Dalhousie women have the opportunity to play any sport they want instead of being restricted to certain sports like basketball and field hockey, as they were in the 1920s. 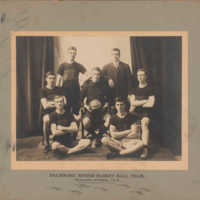 The Dalhousie Tigers represent students on Dalhousie's Sexton and Carleton campuses, while the Dalhousie Rams represent students on Dalhousie's Agricaultural Campus. 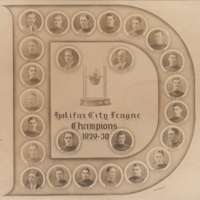 You can read about all of Dalhousie's teams and clubs on the Dalhousie Athletics website. 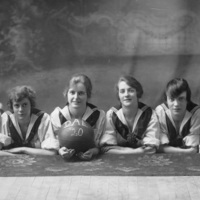 These portraits show what Dalhousie athletes looked like in the 1920s and earlier. 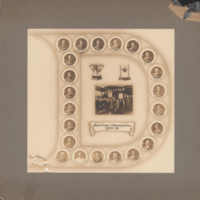 Click the thumbnails to view the images in more detail.